Psychiatrist and founder, Jacques Jospitre, on his approach to psychiatric care, telemedicine, and the business of medicine. While telemedicine has been utilized in many medical fields, its expansion in psychiatry and psychology is a relatively new phenomenon. 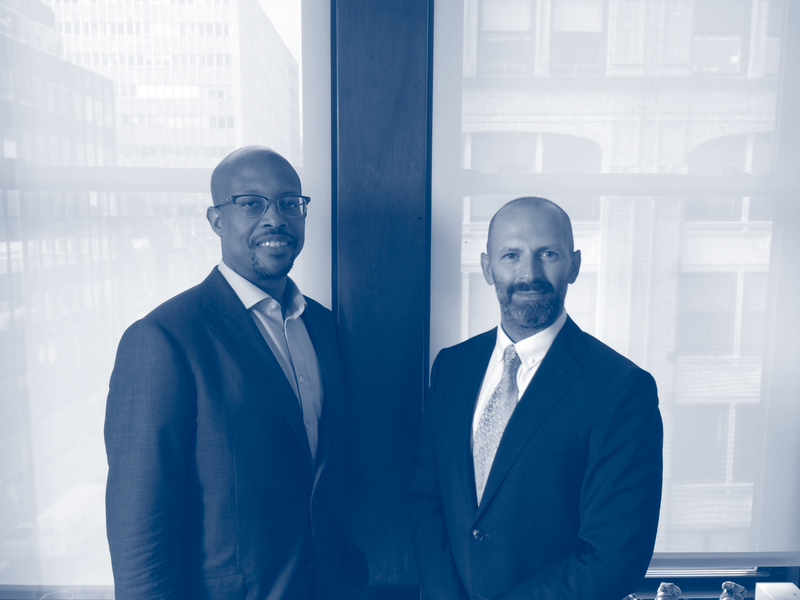 The technology has served as basis for SohoMD, a practice built from the ground up by Dr. Jacques Jospitre, Jr. and his partner Dr. Edward Ratush. Together, they have leveraged a team of therapists, nurse practitioners, and other specialists to support individuals both in real life and remotely in ways that keep overhead down and pass on the benefit of those costs savings to the patients. Here, Dr. Jospitre catches us up on the origins of his interest in psychiatry and how adaptability from the get-go has been the key to his success. On your Psychology Today profile, you list an impressive number of modalities that you use to treat patients. Can you talk about that? The bulk of what makes therapy approaches work is the relationship between patient and provider. This necessitates that patients have confidence that their doctor wants to help them and has clear therapeutic goals. To be as flexible as possible in that regard, I take an eclectic approach, which enables me to tailor the strategy to what’s most appropriate to the patient’s needs. I was fortunate to train at Mount Sinai Hospital, where we focused not just on psychopharmacology, but also on different therapeutic styles. Between that and practicing in New York, I’ve always benefited from being in places that had expansive insight and a variety of ways to approach psychiatric care. How did you get your start in medicine? I was exposed to the field early; both my parents were psychiatrists. Computers, artificial intelligence, and the brain were all fascinating to me because of what they contained in terms of human potential. Making yourself better was interesting and inspirational to me from a very young age. Also, the ability to alleviate pain and suffering from people’s lives made work feel worthwhile. For me psychiatry was a natural fit. Have you seen any shifts in attitudes towards mental health in the time you’ve been practicing? The news is rife daily with speculation for why people act a certain way, why they “turned violent” for example. It’s clear we still have such a lack of understanding around the biological underpinnings of the conditions that prompt certain behaviors. You’re not going to blame a diabetic for having a blood sugar episode, so why would you blame a mentally ill individual for acting according to his or her biology? Genomics constitutes a significant recent development in the popular understanding of mental health conditions. It doesn’t tell the whole story, but it certainly accounts for an important part of it. Sequencing people’s DNA has given us the opportunity to peek into a whole new world of behavioral health. So you could say that services like 23&me have brought inadvertent benefits to popular conceptions of the field of mental health. Because of these types of medical advancements, we’re able to diagnose people more effectively — though keep in mind we’re just at the beginning of that journey. You got an MBA. What prompted that decision? It’s often said that the business of medicine gets into the way of good medicine, so part of my goal was to improve the delivery of healthcare. I founded a private practice around 2005, and that morphed into SohoMD in 2011 when I joined with my partner Edward Ratush. Between the two of us, we found that a lot of patients couldn’t afford treatment at traditional rates, so we set out to find a way to offer high quality care at cost-effective prices. In our practice, we allow people to use their insurance to get mental healthcare, and we make full use of technology not just to expand our availability, but also to connect patients with care in a way that increases accessibility and helps to keeps costs down for everyone. Apps like DrChrono and NextPatient allows us to easily teleconference with patients, and to offer care after-hours. Eventually that availability will be 24/7. For example, you might need a prescription refill on a Sunday night and easily be able to access that through our on-call service provider. Telemedicine has been a great tool to help patients maintain compliance with their treatment and improve their quality of life.